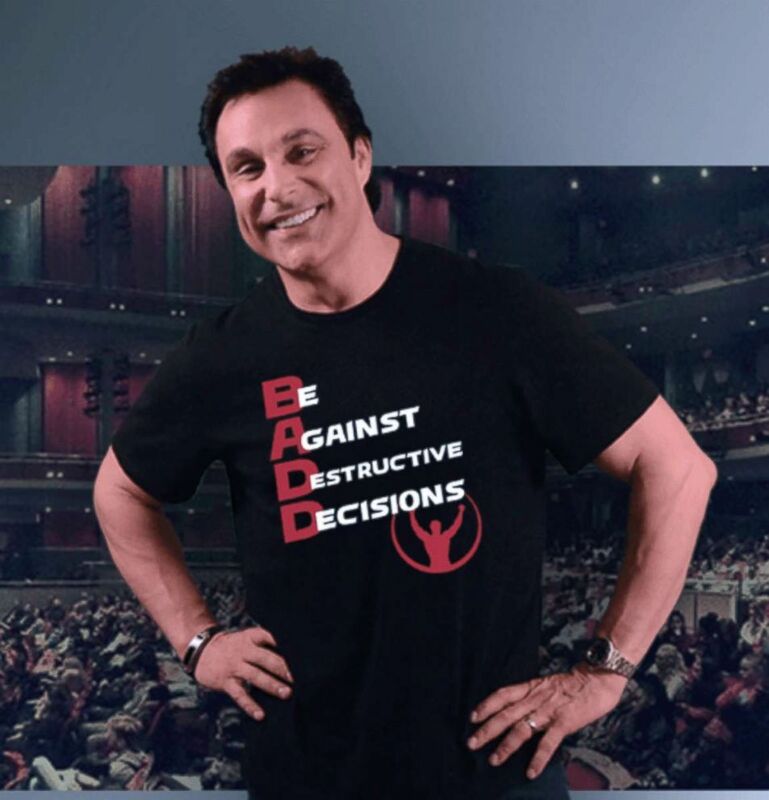 Marc Mero had just lost his mother, father and brother, and his wife had divorced him. He was sitting under a pier on Christmas Day in Cocoa Beach, Florida, contemplating ending it all. The man who beat “Stone Cold” Steve Austin and went on to win the World Wresting Entertainment Intercontinental Championship could not handle his own addiction. He was spiraling out of control. “I wasn’t able to deal with this adversity because of my mindset and what I was polluting my body with,” Mero told ABC News. Mero had dreamed of having a successful career since he was a little boy, but he quickly realized it was not all sunshine and rainbows. “I traveled the world, made a lot of money and met a lot of people, and lived a life that most people think would be the most incredible life to live — of dreaming big since I was a little boy, of making it in life,” he told ABC News. “And then getting there and realizing it was never what I expected because of the bad choices I was making,” he continued. Those choices included drugs and alcohol. Marc Mero speaks in an undated photo. Through it all, his mother was still supportive and proud of her son. He has fond memories of her going to games and sporting events. And when Mero was out making bad decisions, his mother would wait up for him until 3 or 4 a.m. after she had worked a long day at a factory. “I had such a great mom,” he told ABC News. After she died, he felt that his life was getting out of control. Mero was selling drugs and had nearly died of overdose three times. He said that he had lost “well over 30” friends as a result of his addiction and their own personal demons. And then that Christmas Day, under that pier in Cocoa Beach, watching the waves go back and forth, he hit rock bottom. It was at that moment, he said, when he decided to end his life. The only thing that saved him was stopping, talking to someone and finding faith. He took control of his life at age 43 and for 15 years, he’s been clean. My joy comes from helping other people. There is just no greater joy. Now he tours the country through his “Think Poz” campaign, going to schools and speaking to students about overdosing and how bad choices can affect a young person’s life. “When kids hear my story, they feel like, ‘Wow, I am not alone,'” he said. Mero said he speaks from the heart and relives key moments in his life. On some occasions, he breaks down crying on stage. He’s received letters from parents and students telling him that his presentations are valuable. He said he also receives “about a hundred letters a day” and a startling number are from kids who have wanted to kill themselves. Mero said that more than a half billion people have seen his online videos — including a girl who was contemplating suicide and wrote to him. She said she was about to do it, but she checked Facebook one last time and came across one of his viral videos. Mero said he doesn’t want others to experience what he went through. He responds to those letters and tries to talk to kids about the issue.